widely used in the weapons industry, aerospace, automobile, metallurgy, mining, engineering machinery, light industry and other fields. 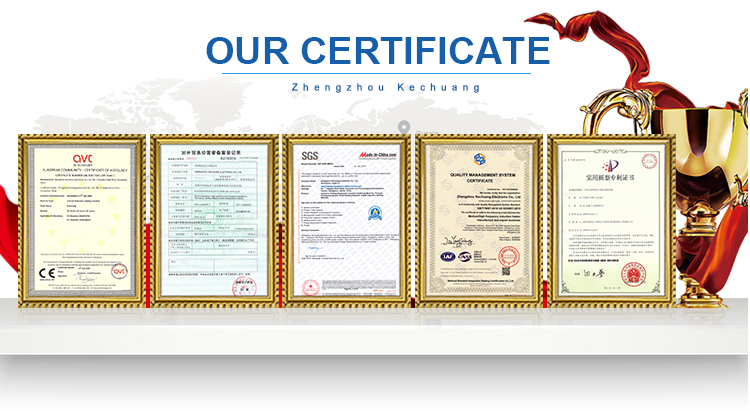 Our company's intelligent power supply technology has reached a maintenance-free, more efficient, more intelligent technology level, leading the domestic induction heating industry products. 1. Optical fiber transmission: the internal power devices of the induction heating power supply need to produce high frequency and high current, and there is a large high frequency and strong magnetic field inside the cabinet, which causes great interference to the transmission signals between the various circuits and affects the normal operation of the equipment. The optical fiber only transmits light, does not conduct electricity and magnetism when transmitting the signal, and is not affected by any electromagnetic field in the process of transmitting the signal, so it has the extremely strong ability to resist the electromagnetic interference and the industrial interference. So we use optical fiber to transmit important driving signal to avoid the interference of strong electromagnetic field and enhance the stability of the equipment. 2、Safety debugging mode: this function is original for our company, when process debugging, open safe debugging mode, power can test load matching, quickly find resonance point and load matching point, and record load resonance frequency, The ratio of voltage to current can avoid damaging the workpiece in the process debugging stage, shorten the debugging time, improve the production efficiency, and avoid the damage to the person and the equipment. 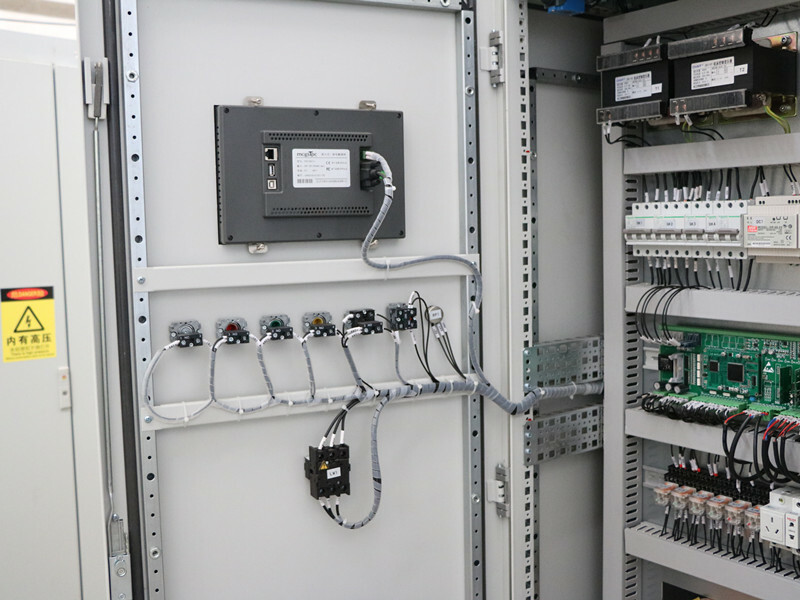 3、Intelligent power control: the traditional analog power supply is controlled by the simulator, and the parameters are determined by the simulator such as the potentiometer. 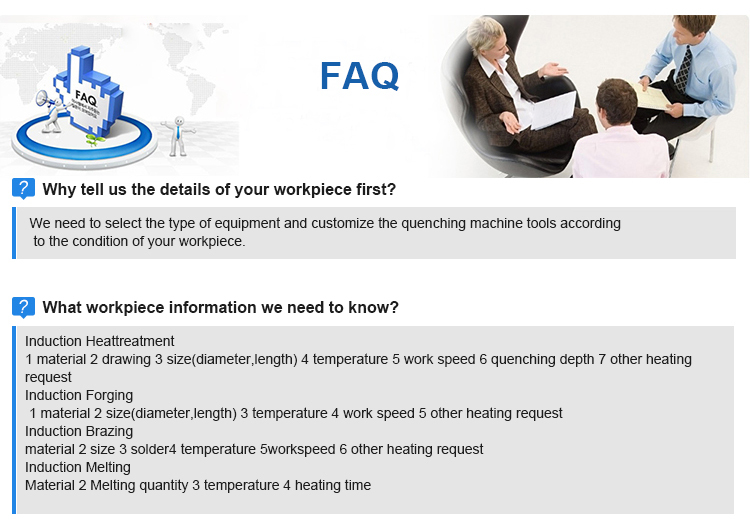 These devices are obviously influenced by the environment.If the temperature change will cause the change of the parameters, the output power will be different without any adjustment at different times. 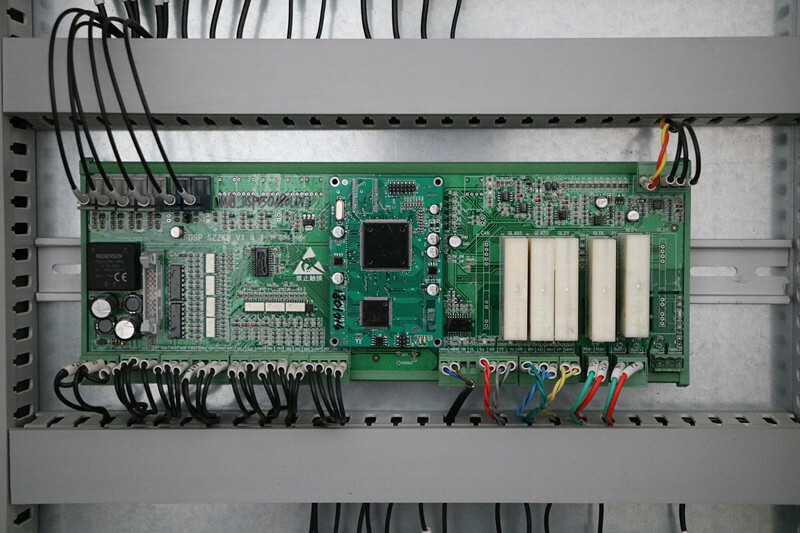 The automatic power supply of our company is controlled by DSP processor. The parameters are solidified in the program. The environment change will not affect the internal parameters. 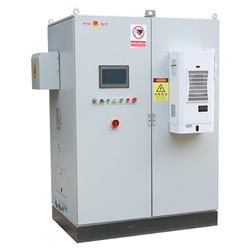 Compared with the analog control system, the digital power supply has higher stability. 4、Quick start, success rate of starting 100%: under any load (no load / full load, any temperature (cold / hot), equipment from start to full power output less than 0.1 seconds, is the fastest intelligent induction heating equipment in China, It greatly improves the production efficiency, reduces the energy consumption of the power supply and auxiliary equipment, the success rate of starting 100%, and avoids the leakage of heating. 5、Adaptive frequency conversion: using adaptive frequency conversion technology based on PLL, the inverter frequency can be instantaneous and accurate to track the change of load, adjust the frequency and phase of inverter in time, ensure that IGBT always works in the ZCS state, and realize the "soft switch" of IGBT.Avoid the IGBT working under the high voltage peak, and reduce the loss of IGBT and system effectively, and reduce the heating of IGBT. 6、Adaptive feedback line: when changing load output line or moving load, the corresponding relationship between load output line and feedback line is not considered, the polarity of feed line will be automatically judged and the corresponding processing will be made inside the power supply. This solves the unnecessary trouble caused by the wrong feedback line. 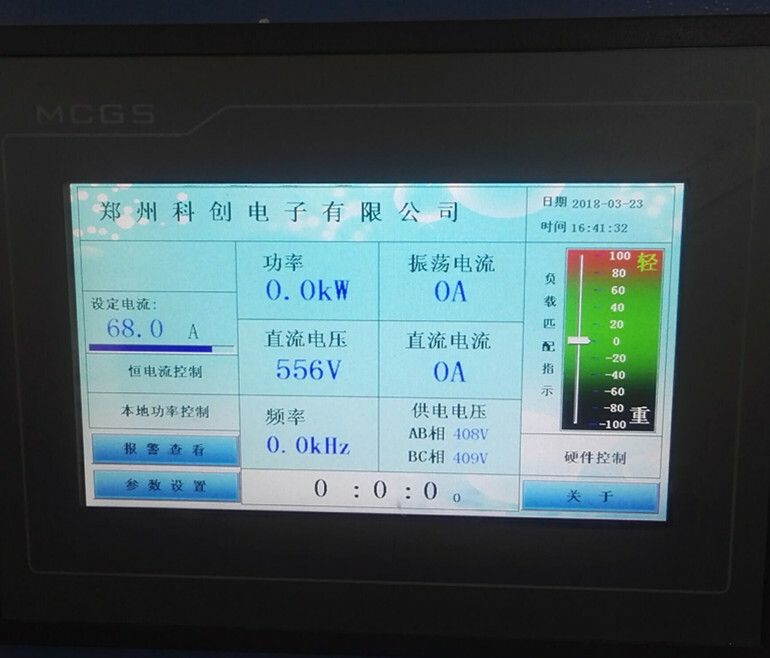 7、Fault self-diagnosis: when the operator misoperates or when the alarm appears in special conditions, the touch screen will show the fault content, click on the help of the corresponding fault can query the corresponding fault solution. 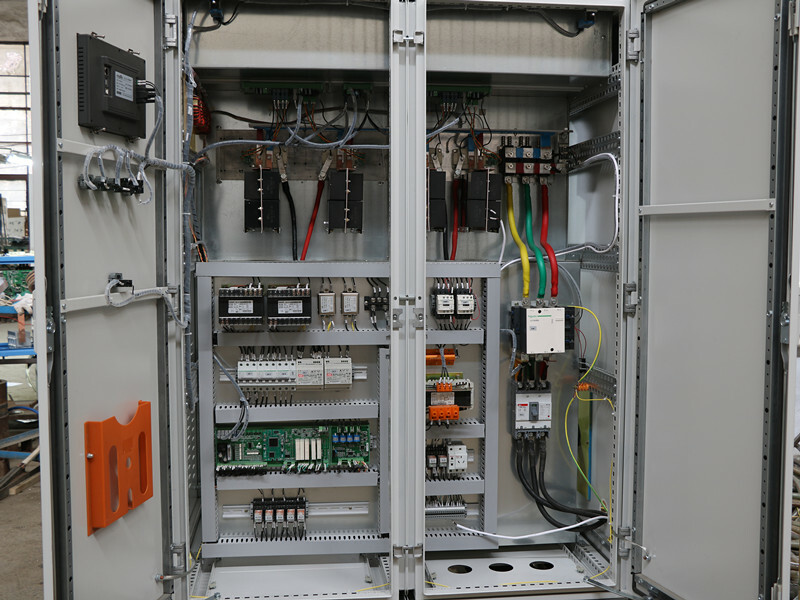 More than 90% of common faults can be dealt with quickly by the operator, which greatly improves the production efficiency and reduces the dependence on the technical level of the operator. 8、Powerful communication function and comfortable man-machine interface: reserved RS485/232 interface, can exchange data with external controller (industrial computer, industrial touch screen, notebook computer, etc.) or central control room.